Tony Gemignani always has some great pizza tips. 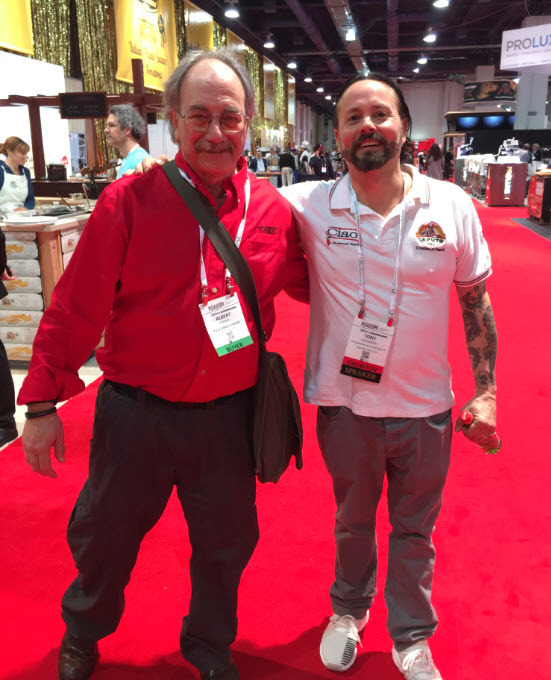 In the following video, I caught up with him at Pizza Expo. Tony was tired and exhausted. He had just finished completing a pizza demo and pizza seminar. 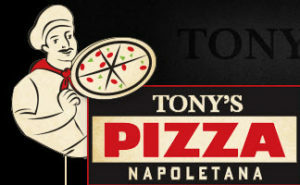 Tony discussed his flagship pizza concept, Pizza Rock, The plan is to open 20 new locations in the next five years. Tony shared his plans to start doing pizza at some of the stadiums. 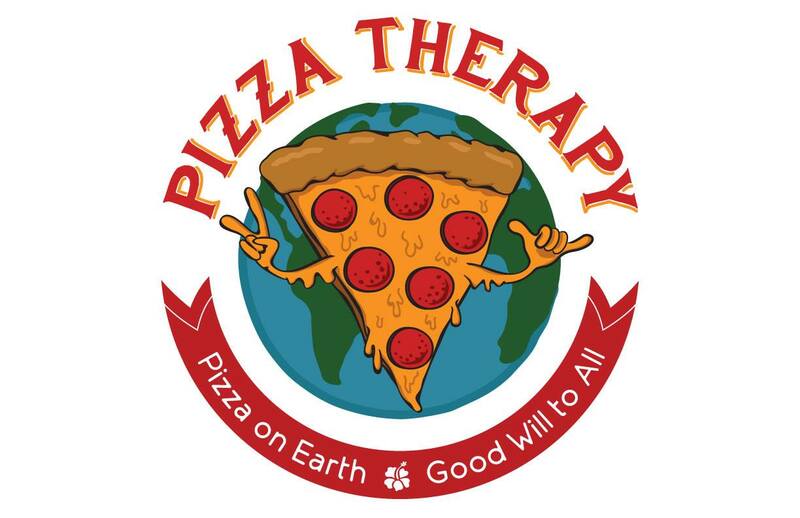 The pizza would all be hand-stretched and cooked in specially designed ovens. The pizza would not be cooks on a conveyer belt. The special ovens would be imported from Italy and designed to his specifications. Tony’s stadium pizza will not use frozen dough. 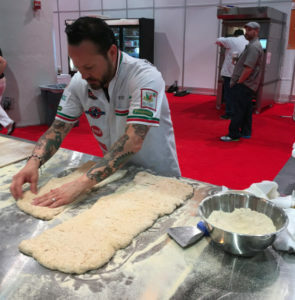 The pizza dough will be made right at the stadium. He has a pizza started stored in the basement. All the pizza made will be very hands on. “Can you give some tips for the home pizza maker?” I asked. You can watch the entire video interview below. (Side note: For more on the Baking Steel see my interview with Andris Lagsdin, the creator of the Baking Steel here. 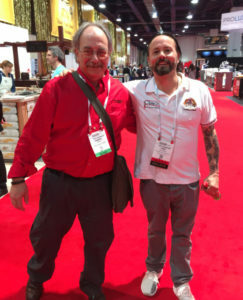 Tony says whenever he cooks in a 500 degree (500 F or 260 C) he will always use a browning agent for the dough. This could be honey, malt or sugar. Use 1 to 3 % depending on the type of browning agent or the type of lour you are using. According to Tony, this will always make better pizza. In addition, you pizza will cook better in your home oven. You can find out about Pizza Rock, here.